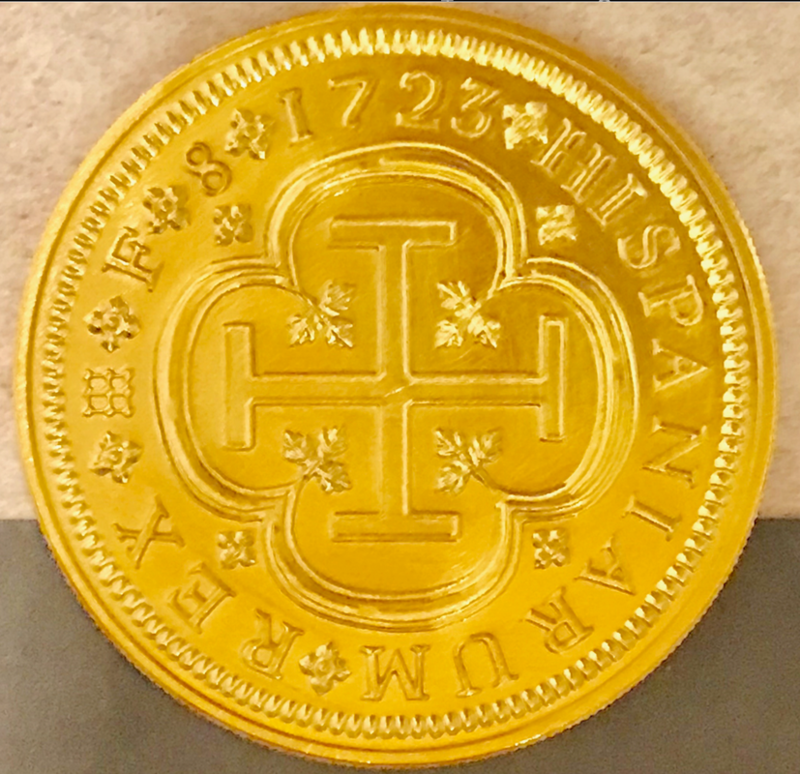 SPAIN 1723 8 ESCUDOS DOUBLOON 18KT PLATED GOLD PENDANT JEWELRY 1715 FLEET ERA TREASURE COIN This SPAIN 8 Escudos 1723 GOLD 18kt plated Treasure Coin is a beautiful and highly accurate reproduction of the Old World Coinage. 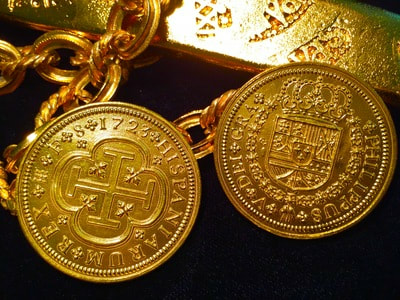 This piece measures at about 36 to 38mm and weighs approx 20grams and is PURE Silver covered in 18 karat Gold plate. 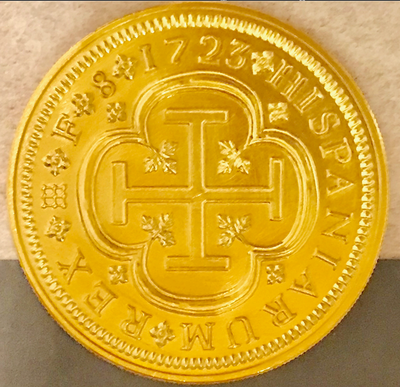 The Details in this reproduction are highly accurate and reflect the beauty of the Gold Coinage used 300 years ago. 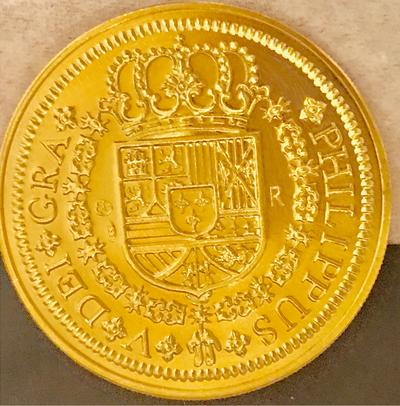 We also have this coin in our store this is authentic as well (which is Certified NGC 55). These pieces are perfect for jewelry pendants and we also offer several options to choose from if you’d like to place in a bezel and chain. 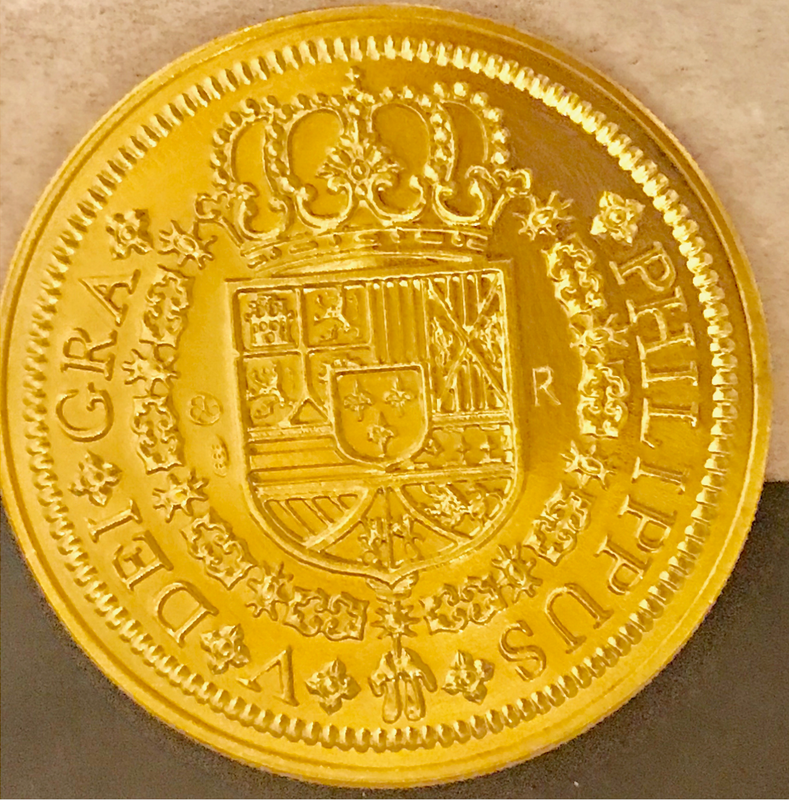 The Details on the CROSS side: 1723 HISPANIRUM REX F 8 = KING OF SPAIN 1723 F (Assayer) and 8 (8 Escudos) The Crown side details: PHILIPUS V DEI GRA = PHILIP V by the Grace of GOD with the ROYAL CROWN & SPANISH SHIELD (representing the Kingdoms under King Philip Vth).